One of the top successes of the vintage, this blend of 50% Cabernet Sauvignon, 45% Merlot and the rest Cabernet Franc and Petit Verdot was harvested between October 8 and 24. The late harvest ensured perfect ripeness as evidenced by the sweet bouquet of black cherries, lead pencil shavings, cassis and subtle barbecue smoke. Well-balanced with good acidity, ripe tannins, medium to full body and a layered mouthfeel, this excellent 2008 can be drunk now and over the next 15+ years. 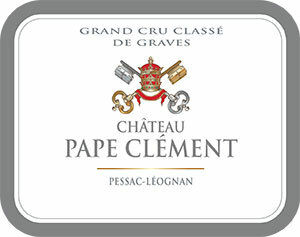 Not far off the quality of the monumental 2005, Pape Clement's 2008 was cropped at a lowly 30 hectoliters per hectare. The final blend is 55% Cabernet Sauvignon, 42% Merlot, and 3% Petit Verdot, and there are approximately 7,500 cases. The 2008 displays a dense purple color as well as a classic northern Pessac-Leognan nose of truffles, asphalt, scorched earth, charcoal, creme de cassis, spice box, and spring flowers. Super-pure and medium to full-bodied with stunning concentration, admirable purity, slightly more acidity than usual, and formidable depth and length, given the sweetness of the tannins and the ripeness of the fruit, this wine should be approachable in 4-5 years, but the vintage's crisp style suggests it will last for 25-30 or more years. Very intense and ripe on the nose: black plum, cassis, liquorice and black olive. Extrovert – a hint of tinned fig in the background. The palate is full-bodied, firm tannins, good acidity, structured and perhaps more restrained than the nose suggests. Lovely focus on the plumy, austere finish. Sophisticated and classy but it will take time for those tannins to soften. Excellent. Tasted April 2009.